I have made my own jewellery for the past few years for friends and family and did a course in silver jewellery making which I absolutely loved. 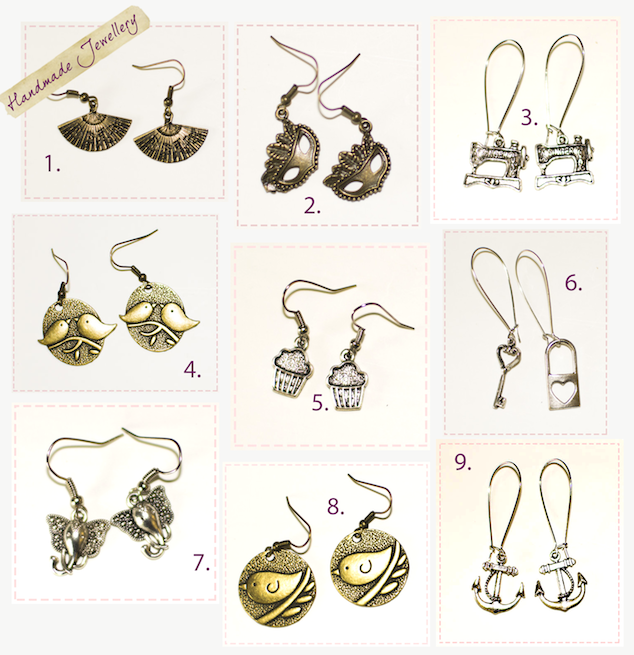 Below is some of my own handmade jewellery, cute dangle earrings this month, which are available to buy on Ebay. All of my earrings are at an affordable price and range between £1.50 and £2.50 and are sent in a lovely organza bag, hope you like them!